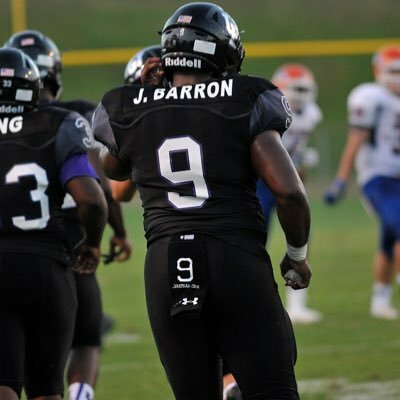 Barron is built like a brick house, using his mass to push his way through the line of scrimmage. He has really aggressive hands, which allows him to get off blocks quickly, and make a stop in the backfield. Barron could potentially grow into a DT at the next level but right now we are projecting him as a SDE. His ability to run across the line of scrimmage and make plays out to the sideline on stretch run plays is a testament to his lateral quickness, and an attribute that separates himself from other 2018 DL recruits.